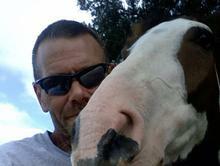 Sean McCarthy has been actively involved in horses throughout his life and works full time as an Equine Dentist. 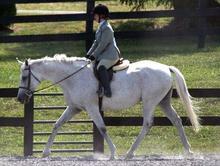 Rachael McCarthy has also been involved with horses her entire life. From breeding Oldenburgs for the Hunters to showing on the "A" Circuit, to owning and managing their own farm, Rachael's whole life is filled with horses. She is also an Emergency Room Registered Nurse at a Level II Trauma Center. Sean McCarthy of McCarthy Equine Dentistry is a professional Equine Dentist that has dedicated his life to helping horses. After struggling with finding an Equine Dentist for his own horses that was kind to the horse, performed quality work, and was still affordable, Sean decided to he could fill that void. Sean graduated from the American School of Equine Dentistry and apprenticed under several top Veterinarians and Equine Dentists. Throughout his career, Sean has also served as an apprentice himself, wrote numerous articles on Equine Dental Care, and offers Equine Dental Clinics throughout the Mid-Atlantic Region. He is certified through the Equine Dental Providers of America, which is a Veterinary Board Certified program. Since Sean spends a great deal of time on the road, his wife Rachael McCarthy schedules all of his appointments and often accompanies him on longer trips. Together, they own a farm outside of Berryville, VA. The farm is 80 acres and has been in Rachael's family since 1774.